In many of our android applications we need images and other files to be inside your emulator, such as images in the gallery. But unlike iPhone we cannot simply drag and drop files inside the emulator., because iPhone’s is simply a simulator. It justs creates an envoronment for testing. But ANDROID mimics the real phone. So we need to put files into the memory space inside the phone. 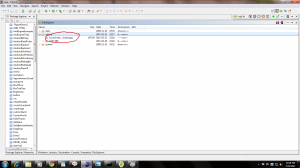 In this tutorial I will show you how to add files to the gallery of ANDROID emulator. First you need to create an SD card for the emulator. Second start the emulator with the created SD Card. These two things are covered in this tutorial. 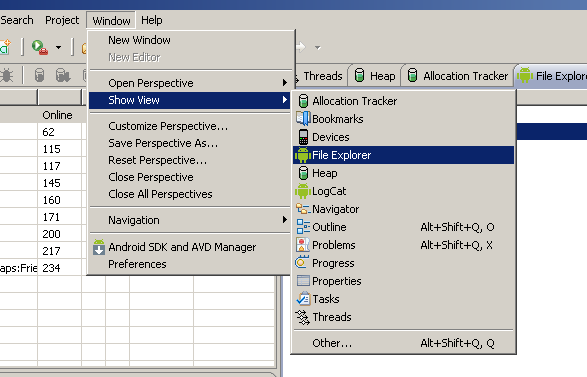 Third Open File Explorer from Window-> showViews and search for File-explorer. 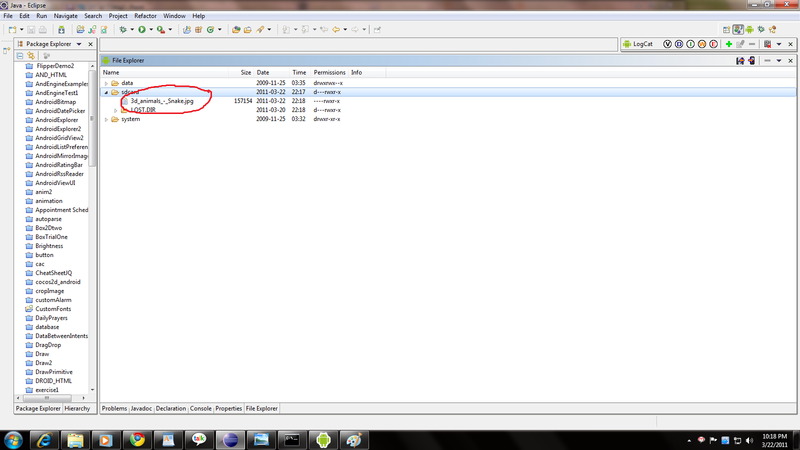 You can see the File-explorer in the screnshot below. See the Market portion on the right side of the window. Then you will be prompted with a dialogue(see above screenshot). choose the file from your computer and click Open. The selected file will be in your Emulator SD Card. Now to see the file inside your emulator. Either restart your phone or restart the emulator. If you put an image file then go to “Gallery” and you will see the pulled in file. I seriously knew about virtually all of this, but having said that, I still thought it had been helpful. Nice blog! “””Failed to push selection: Read-only file system”””………..
Maybe the folder in the SdCard you are trying to push your file into doesn’t have the write (w) permission. Under the File Explorer tab, find the Permissions column. What are the permissions there? Is your directory marked as d–rwxr-x? Thank for the information! I tried pushing file to sdcard but it says “Failed to push selection: Read-only file system” . I check the permission column and it shows “d———-“. How do I change the permission ? Hi Smita. Which SDK are you using. Is there a folder named /mnt in File explorer. Or a folder named /scard there , then push images only to /sdcard folder not /mnt folder.If you try to push to /mnt folder then you will get read-only file-system error. Please try this and let me know. I like this info shown and it has given me some sort of desire to succeed for some reason, so thanks. 5.the image will be downloaded in download folder. while pushing data into sdcard it showing following error. You are not pushing the file in the sdcard. select the folder and then push. [2011-08-29 15:18:18] Failed to push the item(s). I think you have not selected the sdcard folder before pushing file into it. There are fantastic blog post which is post by you. i have selected sdcard folder and then push image.. but still same error..
Failed to push the item(s). Then its not the sdcard. check for mnt/sdcard and push the file. hi very easy blog ur way of explanation is good.congrats you have done good job!